It’s time for another film quiz. 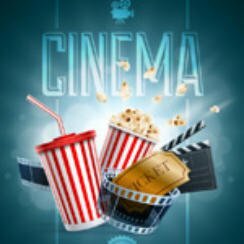 Are you ready for our Movie Quiz General Knowledge 6? Question #1: Who starred in the 2004 remake of Alfie, playing the same character as Michael Caine did in the 1966 film? Question #2: Which actress from the Indiana Jones film series became the wife of director Steven Spielberg? Question #3: In which film did actor Sean Connery make his last screen appearance as James Bond? Question #4: Who played “The Bad” in Sergio Leone’s 1966 spaghetti western The Good, the Bad, and the Ugly? Question #5: Mark Sinclair is better known as who? The Oscars Quiz – How well do you know the movies?